Thank you for inviting us to photographing this precious milestone for your your growing family. We are thrilled to welcome your expanding family to ours! 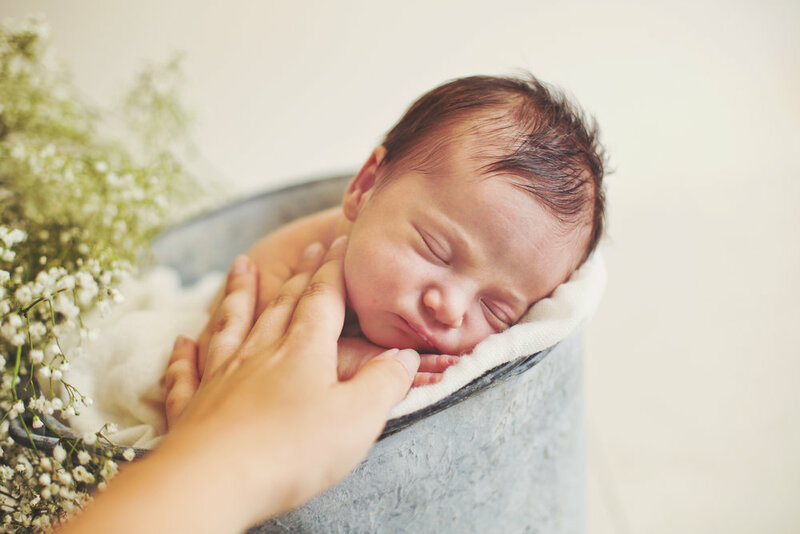 Read on for our best advice to ensure a successful newborn session experience! Baby will be wrapped or bare for the entire session, so we encourage soft neutrals tops for the rest of family. Consider including varying textures and layering to add some dimension to your images. Note: The studio is kept quite cozy to ensure your bare baby is comfortable at all times - we highly recommend dressing in layers or bringing lighter clothing to wear so you are comfortable as well. 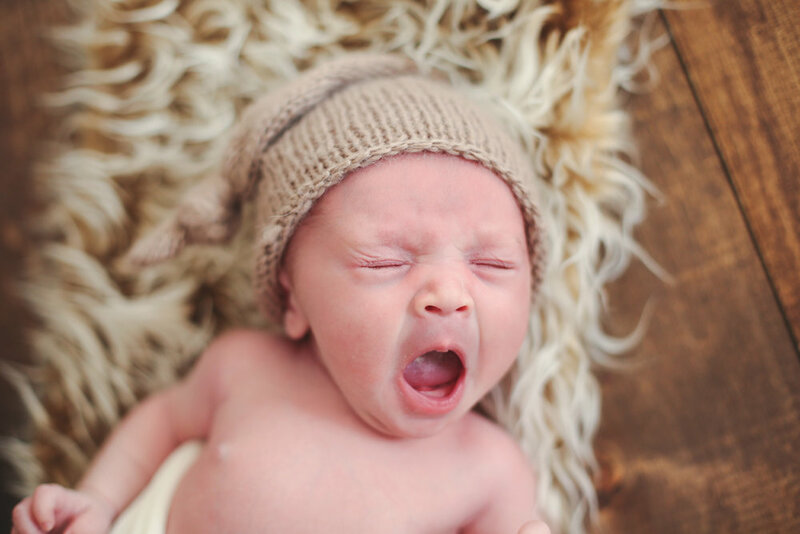 The two most important tips in planning for your newborn are to bring baby hungry and sleepy! We recommend keeping baby awake for 1-2 hours prior to the session and timing feedings so that he/she arrives to the studio quite hungry as well. We will have you feed your little one immediately when you arrive at the studio so baby is nice and sleepy for us to get started. (Tip: A good way to keep baby alert, is to plan a bath just before the session!) Baby might get hungry between posing, so come prepared with extra bottles or to nurse on site if needed. The birth of a new baby is the perfect excuse to update outdated family photos! We love including siblings in newborn sessions but have a few recommendations to ensure the experience is stress free and fun for everyone! 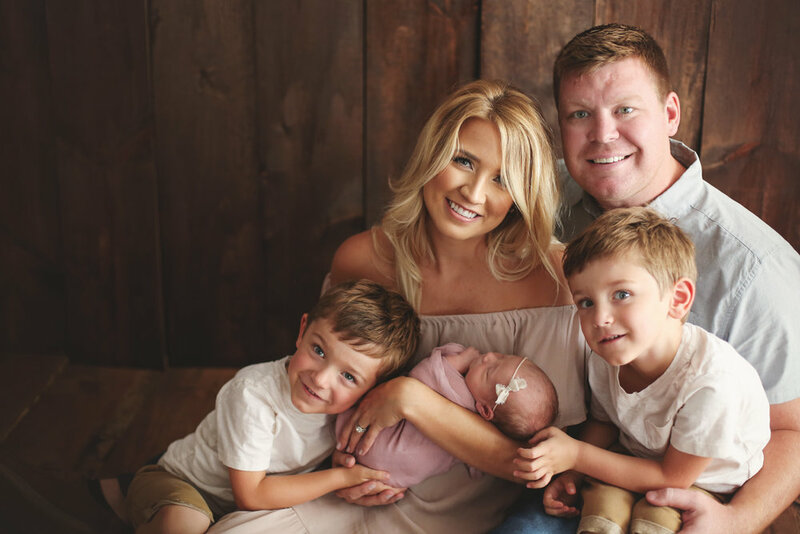 We will capture family and sibling photos immediately after baby has settled. If other siblings (or fur-siblings!) will be joining us, we recommend that someone swings by to pick them up 30-45 minutes after the start of the session. If that isn’t an option, don’t worry – we have lots of toys and activities to keep them busy and have been known to invite kiddos “help” with the session to keep them from going stir crazy! Having a beloved blanket or stuffed animal there can ease the fear of a new place and new faces. Bring incentives! A small treat does wonders. We keep fruit snacks on hand, but even cheerios can do the trick! Babies cry, spit up, poop and pee! Don't fret! Baby will be bare for most of the session, so please do not be embarrassed if an accidents happen. It may be a surprise to you, but it's just part of the job for us! All items are washable, and baby will likely feel much better after they get it out of their system! Not all babies cooperate with the poses we have planned. We will not force a newborn into a pose that is unsafe or upsets your little one. The safety and comfort of your baby is always our top priority. Unfortunately, sometimes that means a pose we were hoping to achieve or that you suggested may not happen. We will simply calm your baby and move on to the next pose or next set up. Unless mommy or daddy requests a specific color, prop, hobby, or theme, we will dream up a handful of sweet set ups for your new little one that you’ll swoon over! Many of our accessories are hand made and speak to our whimsical style of photography. If you’ve seen a pose or set up we’ve done before that you just love, don’t be afraid to request it! If you'd like to incorporate something specific, please just let us know prior to so we can prepare. Pacifiers can be very helpful during the session. (Even if they don’t normally take one!) If you don’t plan to use a pacifier regularly, just know that it can still be a useful soothing tool for the short time you are in the studio. Sometimes parents get anxious when little ones fuss, but please know that we are very (very!) patient and quick to pick up on individual likes and dislikes. We have a few tricks up our sleeves to calm and soothe and are easily able to adjust accordingly if your little one is just not having it. Ultimately, your little one will determine how the session will go. However, we block off three full hours for every newborn session on purpose – to accommodate babies who need extra snack breaks or extra snuggles to settle down. That time is also helpful when we have siblings who are still adjusting to being a big brother or sister as well. We're in no rush.